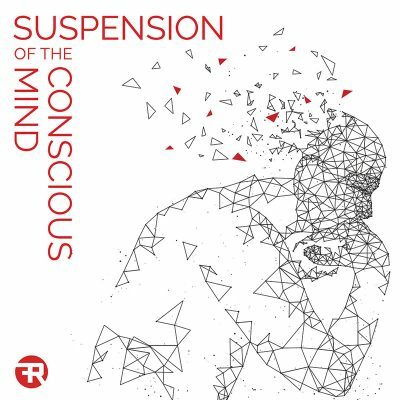 Proving themselves to be more than just a one-trick pony, local synth heads Rare Facture (aka Tom Cella and David Burdick) have done it again with their sophomore offering, Suspension of the Conscious Mind. The results are fairly impressive. Landing sonically on the somewhat cheerier side of the street with a near-constant buoyancy, the new album’s 10 tracks (plus two remixes) are both optimistic and catchy. “Young And Silent” starts things rather majestically: Its synths begin to ping slowly and then increase dramatically throughout. “Spiritus Donum” is as intriguing as it sounds, with Cella’s delicate, synthesized vocals layered against the song’s optimistic beat. “Verse Girl” is a good choice for that distinction, as it is both exhilarating and memorable, with its synths swirling around its backbeat. Of the two bonus remixes of the song, “FM Attack Mix” is the poppier here and filters the vocals, but the “New Division Bangin’ Mix” is intoxicatingly robust, recalling Blank & Jones. “Timefreeze” is more intriguing because Cella exposes a darker side to his lyrics: “and now I taste the pain, as poison drips into my veins,” he confesses while Burdick’s keys perform double duty as a partial hymnal that remains contemporary. “Where You Reside” also contains the latter qualities and is jubilant. With its tweaked keys and echoing background vocals, “Subconscious Images” is defiantly happy. “Love A Guiding Star” continues the uplifting lyrics but is especially inspired in its music. “Time Never Tells” refers to “ghosts” and “haunted memories,” but like most of the album, its music is joyously carefree. Love song “Signal Flow” is playful and is enhanced by its fractured keys and intriguing Vince Clarke–like ending. Even though the title suggests a heavier tune, closer “Light Starts Dark Forms” instead is rather pretty and uplifting lyrically, as it musically drifts and twirls delicately to its dreamy conclusion.